Who doesn’t love an easy snack that’s great on the go? These balls can be made in about 15 minutes or so and will stay fresh in the fridge for at least a week (if they last that long!). 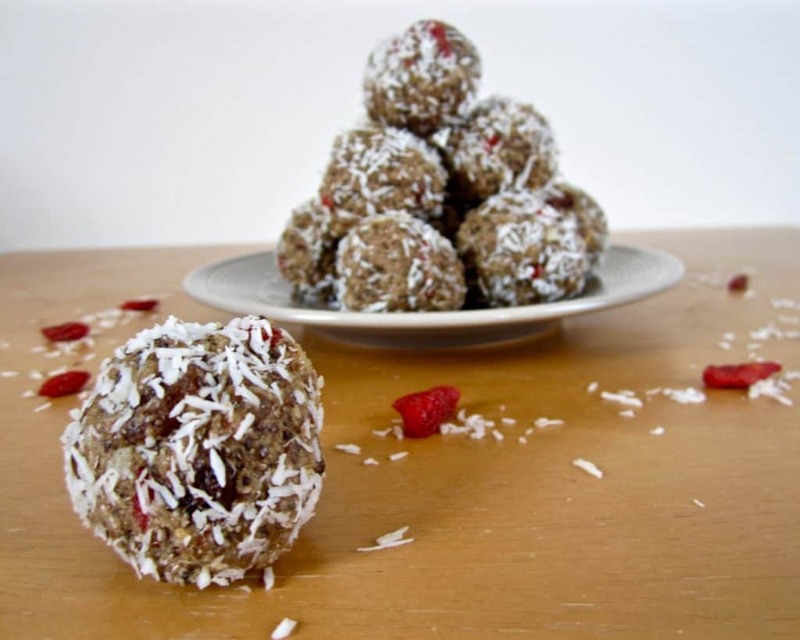 They are tasty, satisfying and with approximately 4 – 5 grams of protein (per ball!) give you that extra burst of energy and satisfaction you need during your day. In our busy lives, it’s important to have easy and healthy snacks at the ready that we can grab, whether we’re at home or out running errands, at work, etc. Having something prepared in advance and ready to eat can make all the difference in sticking to healthy choices and not being tempted by all the junk that’s around when we’re out and about. This is a basic recipe but you can experiment with endless combinations, from different nut butters, to changing up the nuts and fruit, from more sweet to less sweet so that you never get tired of them and can always have a snack ready in your fridge. They can be adjusted to your tastes, dietary needs and what you already have in your pantry. You can even make a bigger batch and freeze some for later, pulling out smaller batches as needed. So let’s get to it! 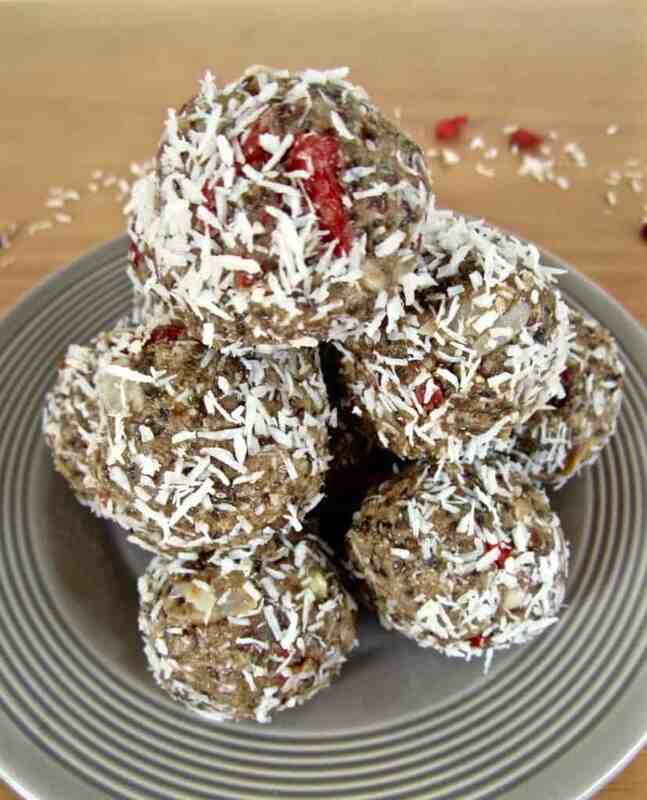 Tip: I typically leave the sweeteners out of the batch and then, when ready to eat, I sometimes drizzle a little coconut blossom over the balls if I’m looking for something sweet when snack time rolls around. 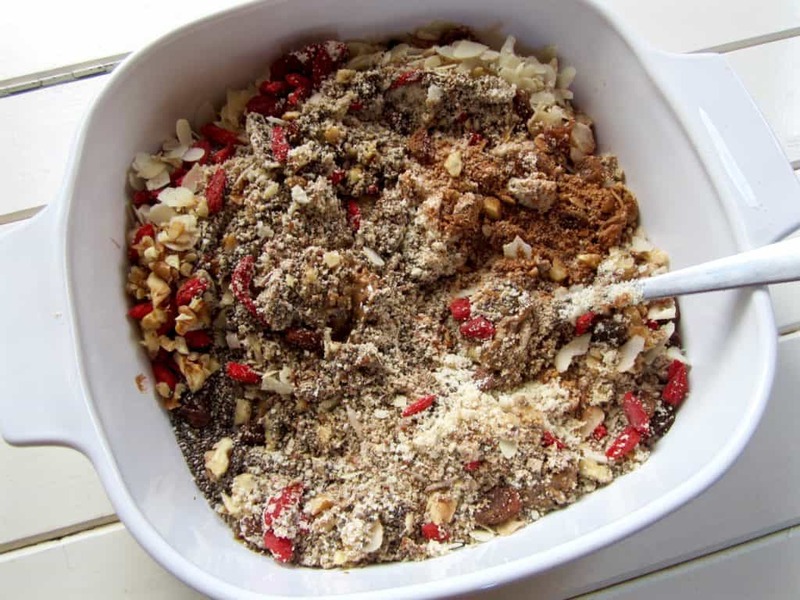 Grind sunflower seeds (and flaxseed if not already ground) into a meal/powder using a coffee grinder, food processor or blender. If using whole nuts, chop them into small pieces. Roll the mixture into small balls, about 1 inch in diameter. Roll the balls into the coconut, if using. Store in the fridge for at least 2 hours to help the flavors meld. The longer they sit, the better balance of flavor. I like to keep mine in the fridge so they stay firm and last longer. *Raw option - use a raw nut butter and make sure all of your nuts are raw. Omit the dried fruit unless you can find fruit dried at appropriate temperatures for your raw diet (usually around 118 degrees or less). 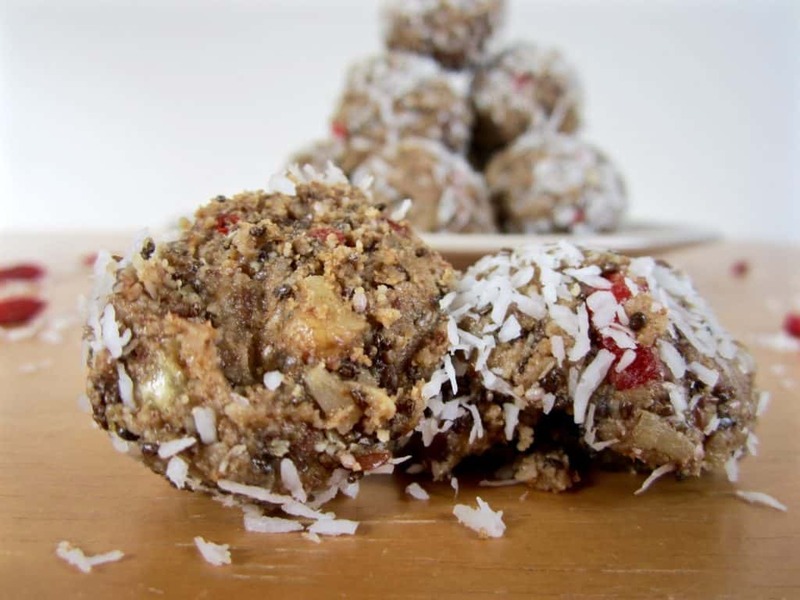 **If the mixture is too dry to form balls, add a little liquid sweetener or more nut butter. **If you used liquid sweetener and the mixture is too wet or ‘sticky’, add a little more of the dry ingredients to bind it (almond meal, ground seeds). I tried these for my road trip and they were great! Not too sweet so kept my blood sugar level. Awesome. Thanks for trying them out!